Marek’s disease is a type of avian cancer caused by a virus. It primarily affects chickens between the ages of 4 – 20 weeks. It can rarely affect turkeys. It is not zoonotic, which means it cannot be transmitted to humans. Marek’s is highly contagious and has been found all over the United States. It is spread through inhalation of feather dander/dust and excretions from infected chickens. Marek’s can also survive for months in the environment where previously infected birds were kept. It causes tumors throughout the body. Tumors in the nerves cause the most common symptoms: lameness, and eventually paralysis. Tumors can also occur in the eyes and internal organs causing blindness and greenish colored feces. It is not spread through the eggs laid by infected hens or the chicks that may result from hatching those eggs. Diagnosis of Marek’s disease is typically done by necropsy but this is not definitive due to the fact Marek’s can mimic another disease called Avian Leukosis. Most recently there has become a PCR (Polymerase Chain Reaction) test available which can diagnose live birds by testing their DNA via a blood sample or deceased birds by a tissue sample. If you are interested in finding out more information on testing available in your area, you should reach out to your local University Extension. There is currently no known treatment for Marek’s, but thankfully there is a vaccine available! The vaccine is injected in the back of a chick’s neck just under the skin within 24 hours after hatching. 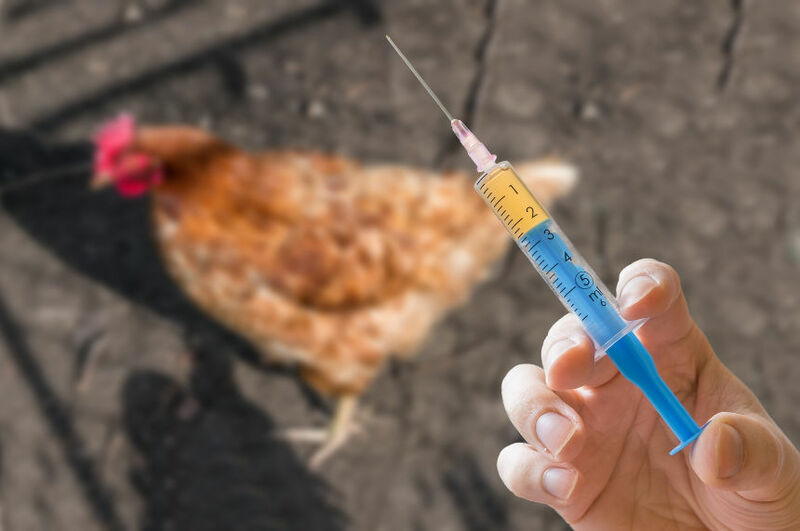 It’s important to remember the vaccine does not prevent chickens from acquiring or spreading Marek’s but it does help reduce the severity of clinical signs and even death. Other methods of prevention are sanitary control procedures, strict biosecurity practices, and genetic selection (breeding for resistance). Here at Meyer Hatchery, we offer the Marek’s vaccine for our day-old chicks. You can select this option at check-out. We also offer a Marek’s Disease vaccination kit should you want to vaccinate your own chicks hatched at home. Please keep in mind the vaccine takes several weeks before immunity is effective, so care should be taken to lessen exposure to the disease during this time. 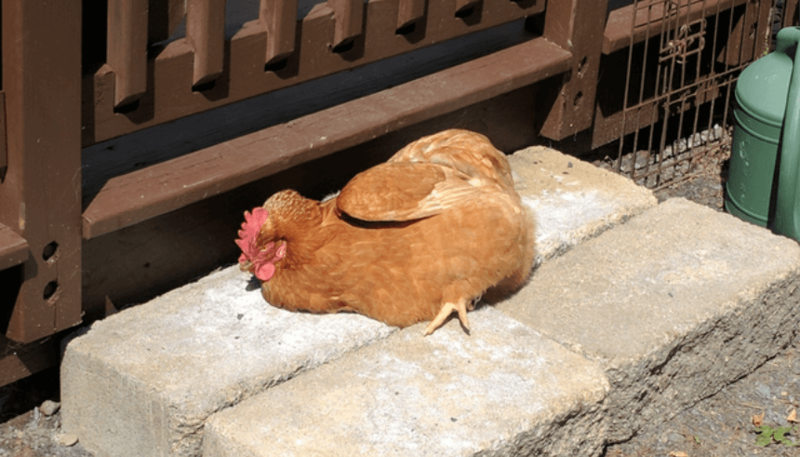 Any poultry illness can potentially become a national outbreak if backyard poultry owners fail to do their part in maintaining good biosecurity practices. Let’s outline the main points of good biosecurity for a backyard flock owner. 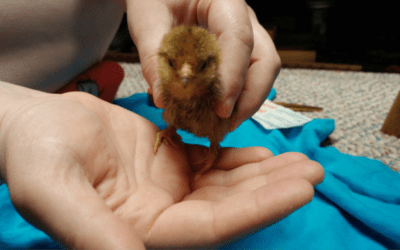 Crooked or bent toes in chicks can be an unsightly condition, but in the majority of cases, having bent toes does not affect the chicken’s ability to live a completely normal life. Crooked or bent toes (bending sideways) is different from a condition called curled toes paralysis (toes curl under causing the bird to walk on the top of the foot). Here are a few reasons when and why your chicks may develop curled or bent toes and how to treat them. Why Isn’t My Frizzle Chick Frizzled? 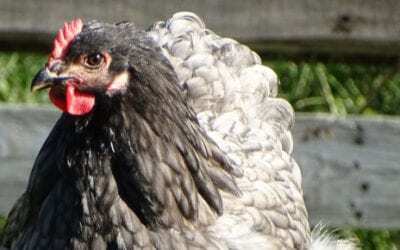 The frizzle feathering sometimes found in chickens is a rare occurrence, and therefore highly desired in some breeds. 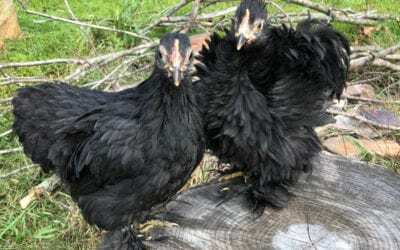 Here is an overview of how the frizzle feather mutation occurs and why not all chicks sold as frizzles will have frizzled feathers. The Marek’s vaccine that Meyers offers for day-old chicks is administered by spray or injection? Hi Anthony. When we vaccinate the chicks for Mareks disease before they leave the hatchery, They are vaccinated by injection.